This, like most Glendronach malts relies heavily on sherry cask ageing. Still one of the best bargains to be had from Speyside, if you like the old style Macallan malts, Aberlour or Dalmore then this is definitely one to give a go. This is pretty much a top three malt with all of our staff in the shop! Nose Aromas of cinnamon buns, dried fruits, caramel toffee, roasted nuts and oak. Palate Good weight and viscosity with flavours of dried citrus peel, Christmas cake, marmalade and cinnamon. Finish Becomes buttery and smooth with some persistent oak and dried fruit flavours. Types of Barrel used for Aging Refill casks with some fresh Pedro Ximenez and Oloroso Sherry barrels. A fruitier and pleasantly floral version from Glendronach that eschews the usual sherry cask ageing .. 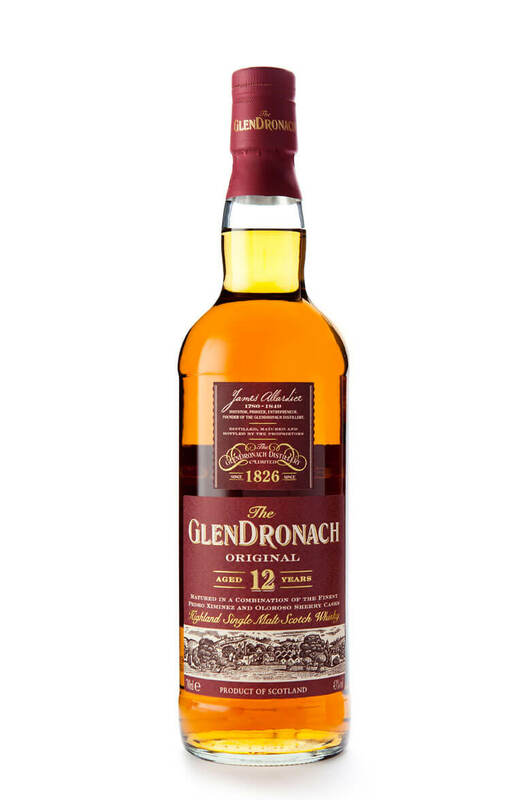 This incredible 44 year single cask bottling was carefully chosen from the oldest stocks available a..
A special edition Glendronach that was initially aged in European oak before being finished in virgi..